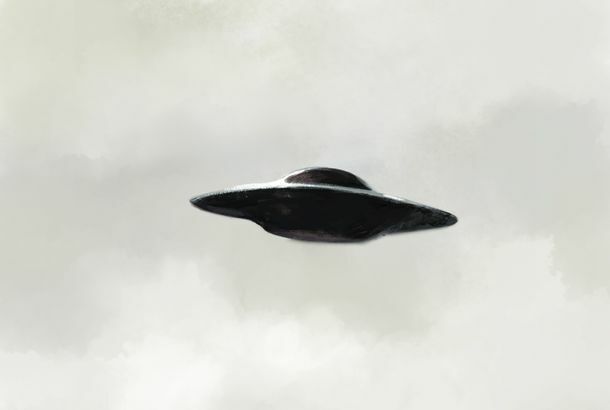 Why Believing in UFOs Is More Fun When You’re the Only OneI thought I wanted legitimacy, but maybe I didn’t. The End of UFOsWhy did America lose its fascination with flying saucers? Meteor (or UFO) Spotted Over Bay Area The same day one hit Russia. Really Boring Brooklyn UFO Sighting Caught on TapeThree white lights moving around a little. The Aliens Want the Hipsters of WilliamsburgWait, I thought you said they were “intelligent forms of life?” Zing! The Time a British Man Mistook Daylight Saving Time for an Alien AbductionUFO Fail. Spotted in New Zealand in 1995: An Alien With Size 440 ShoesNew Zealand just released all of its UFO files. Eight Explanations for the Mystery California Missile Launch [Updated]The military has no explanation, supposedly. Brett Berg Cuts His Umbrellas, Thinks Aliens Are Upon UsHe also cuts up his clothes and safety-pins fabric to himself. Fun, right?